Deele College Raphoe school jumper from Deer Park. 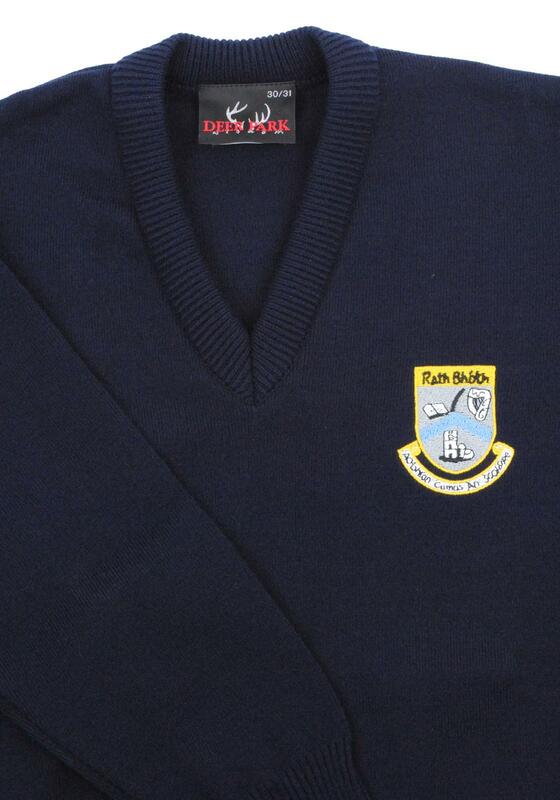 The navy school jumper has a ribbed neckline, cuffs and hem. It has the school crest embellished on the left side of the chest. This high quality jumper is easy to care for.